JAKARTA, Indonesia: A firestorm of controversy over how the world’s largest Muslim-majority nation and democracy should respond to the Israeli-Palestinian conflict unexpectedly dominated Indonesia’s print, broadcast and social media during the decisive final weeks of that nation’s 2018 regional election campaign, which many experts view as a bellwether for national legislative and presidential elections to follow in 2019. A long-planned visit to Jerusalem by Kyai Haji Yahya Cholil Staquf—General Secretary of the world’s largest Muslim organization, the Nahdlatul Ulama (NU)—triggered the controversy, when the Palestinian ambassador to Jakarta sought (and failed) to block the visit, and leading politicians from the Muslim Brotherhood political party PKS and Gerindra—both staunchly opposed to incumbent President Joko Widodo (“Jokowi”)—seized upon the visit as a de facto campaign issue. Gerindra’s Fadli Zon, Deputy Speaker of Indonesia’s National Legislature (DPR), condemned Staquf’s visit to Jerusalem as “a national embarrassment” whose “moral depravity” constituted a betrayal of “the Palestinian people’s struggle,” and demanded that the government “firmly discipline” Staquf who, just prior to his departure for Jerusalem, had been appointed to a 9-member Presidential Advisory Council with a protocol rank equivalent to cabinet minister. Within hours the Deputy Secretary General of Gerindra—Nuruzzaman, a prominent NU figure and member of GP Ansor’s Central Board—resigned from Gerindra and publicly lambasted the party for insulting his spiritual leader (Yahya Staquf) and for inciting hatred towards religious minorities through its alliance with Muslim extremists and its behavior during the 2017 Jakarta gubernatorial election. You may disagree with what Kyai Yahya did [in visiting Jerusalem]. But do not underestimate the Message of Compassion that he delivered, in order to foster world peace. This is the true Heavenly Message. You may not realize it, but the Noble Prophet was present, in Jerusalem, when Kyai Yahya delivered his Message of Compassion… Every Muslim who echoes the Message of Compassion that the Prophet taught, will be accompanied and defended by the Prophet Muhammad himself. Employing a non-confrontational approach rooted in the Islamic tradition of islah, designed to reconcile opposing parties and facilitate peace between them, Mr. Staquf was widely viewed as following the example of his spiritual mentor, Kyai Haji Abdurrahman Wahid—former Chairman of the Nahdlatul Ulama and Indonesia’s first democratically-elected president—who visited Israel three times and addressed the AJC Annual Forum in 2002. Yet opposition to Mr. Staquf’s visit was also strong and highly vocal, particularly among those who embrace a supremacist interpretation of Islam and routinely weaponize problematic tenets of Islamic orthodoxy to serve their political agenda. When Hamas and Fatah condemned Mr. Staquf’s visit to Jerusalem, Muslim Brotherhood (PKS) politicians and cadres joined the fray, seeking to leverage the controversy for partisan advantage. 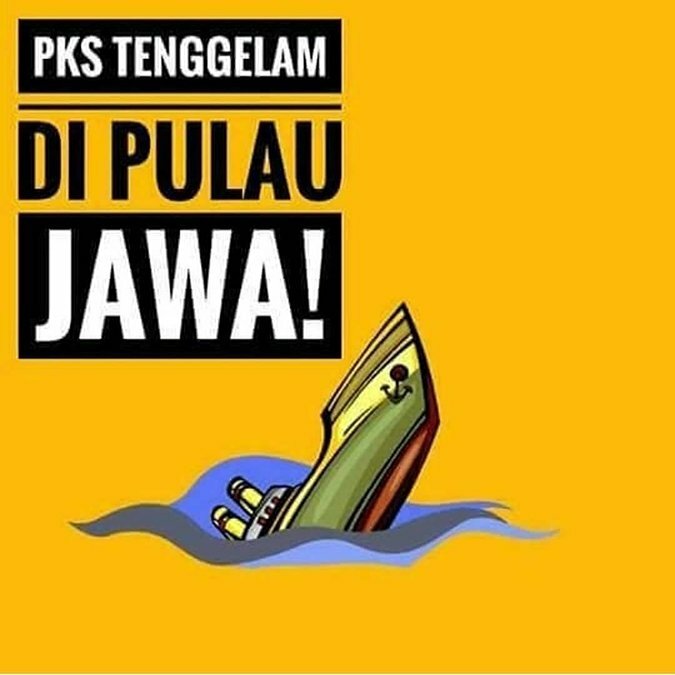 This, in turn, elicited a visceral reaction from Gerakan Pemuda Ansor, the 5-million-member NU young adults movement, which constitutes the primary vehicle for the grassroots mobilization of NU followers. During the months prior to the controversy, PKS- and Gerindra-backed candidates were deemed competitive in gubernatorial elections across the heavily-populated island of Java, which dominates Indonesian politics. 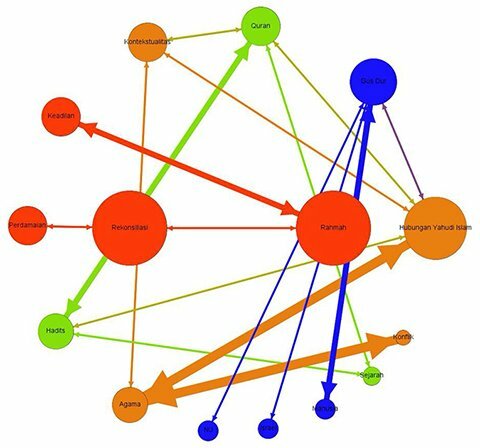 Islamist political aspirations were derailed, however, when GP Ansor launched a massive “#shrinkpks”/“#sinkpks”/“#disbandpks” campaign—coordinated both online and on the ground—that spread among NU followers throughout the Javanese cultural heartland and deep into West Java as well. 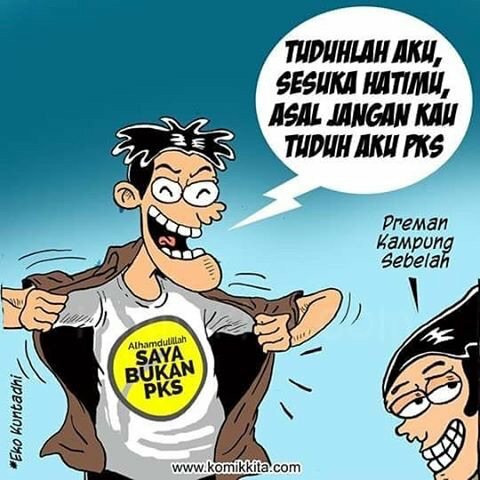 “PKS attacking NU kyais,” read one meme, accompanied by illustrative news reports. “The party that betrays our people and nation,” read another. “Do you think that [the best way] to defend Palestine is to curse others; demonstrate and block traffic on public streets; open bank accounts and beg for contributions, without anyone knowing the ultimate beneficiaries; shout ‘Allahu Akbar!’; and scream that the solution is to establish a caliphate?” “What have PKS leaders done for Palestine, besides tweet?” asked H. Yaqut Qoumas, the Chairman of Ansor (below with H. Alfa Isnaeni, commandant of Ansor’s, 1.7 million member militia). Islamists and their allies were not the only political actors seeking to discredit Mr. Staquf’s visit to Jerusalem. As the 2019 national elections approach, various individuals allied with the current administration have come to view Mr. Staquf as a threat to their personal aspirations, particularly in regard to who may be chosen as President Jokowi’s running mate. Two events may serve to illustrate these dynamics. A group backed by prominent political figures obtained a police permit to demonstrate in front of Nahdlatul Ulama headquarters in Central Jakarta on June 25th, hoping to create an illusion of public unrest and a “popular demand” that the Central Board dismiss Mr. Staquf from his position as General Secretary. On the morning of the planned demo, several hundred uniformed members of Banser—Ansor’s militia—waited patiently outside NU headquarters for the paid demonstrators, who never showed up. 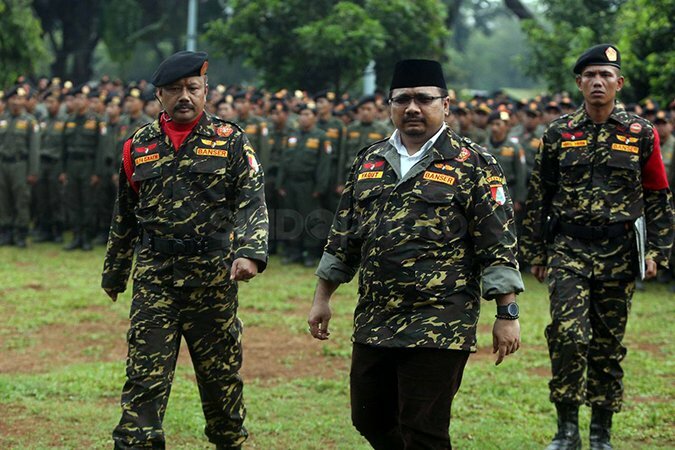 Political opponents of Mr. Staquf, operating from the shadows, attempted a similar maneuver in conjunction with a July 2nd event in Lampung, Sumatra, where the heads of regional NU chapters throughout Indonesia gathered for a national conference. External figures manipulated the agenda to include a discussion, and possible censure, of Mr. Staquf’s visit to Israel. Yet once again the political elites miscalculated. When Mr. Staquf addressed the NU regional heads in Lampung, no one challenged his actions in visiting Israel. In a well-received speech to the assembled leaders, Mr. Staquf explained the “diplomacy of compassion” and stressed the importance of consolidating the Nahdlatul Ulama, to prevent external forces from manipulating the organization and weaponizing religion for partisan advantage, to the detriment of humanity as a whole. 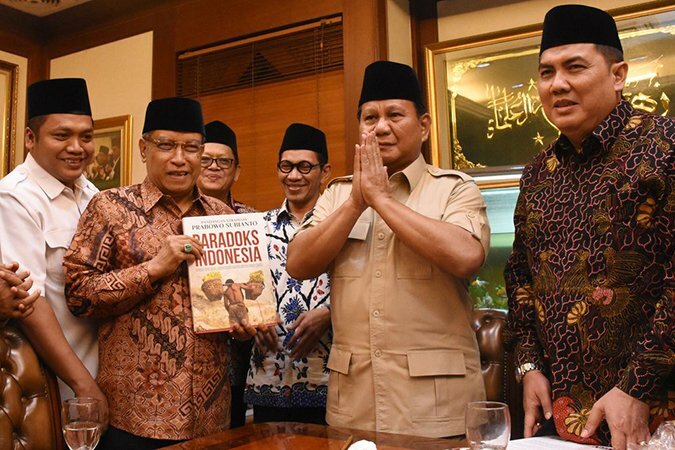 These developments—widely covered by Indonesia’s domestic media, but largely unreported by foreign journalists stationed in Jakarta—evidence the strength of Islam Nusantara as a socio-cultural phenomenon. Mr. Staquf’s visit to Jerusalem and the swift electoral “punishment” NU followers inflicted upon PKS and Gerindra suggest that Indonesia can play a significant role on the world stage, if its leadership chooses to follow in the footsteps of President Soekarno—co-founder of the Non-Aligned Movement—and update its independent/active foreign policy to acknowledge and address problematic tenets of Islamic orthodoxy that serve as a “common thread” underlying numerous threats to international peace and security, including Sunni and Shiite terrorism. These problematic tenets enjoin Islamic supremacy; encourage enmity towards non-Muslims; require the establishment of a universal Islamic state, or caliphate; exhort Muslims to engage in offensive war against non-Muslims until they convert or submit to Islamic rule; reject the existence of the nation-state; prohibit religious freedom; and delegitimize laws derived through modern political processes. Honestly and responsibly addressing (i.e., reforming) these problematic elements of Islamic orthodoxy is a prerequisite to neutralizing the threat posed by a wide range of state and non-state actors who weaponize these problematic tenets to advance their geopolitical agendas and threaten the very existence of Indonesia as a multi-religious and pluralistic nation state.